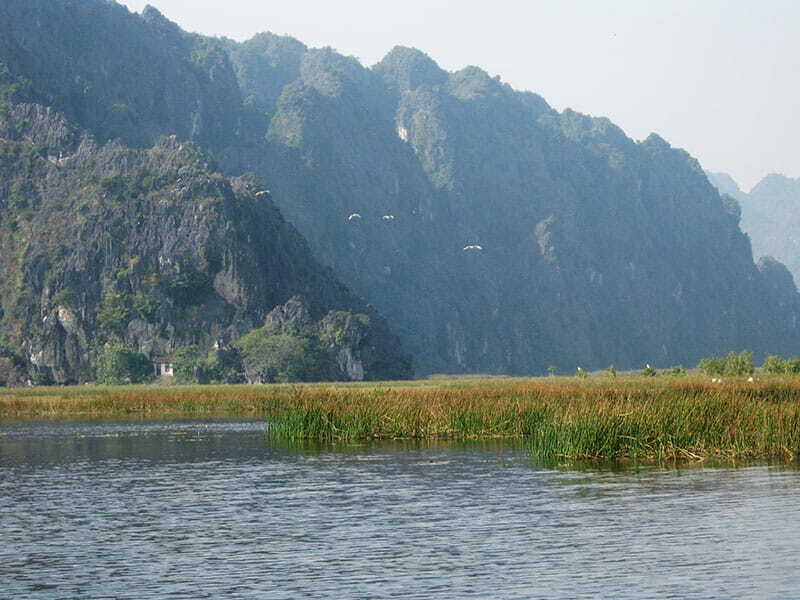 Van Long is the largest wetland nature reserve in the northern region of Vietnam. 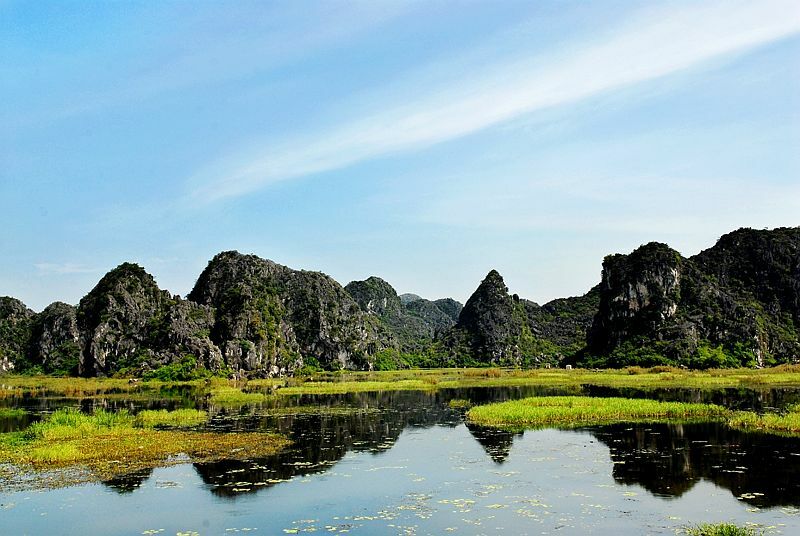 Van Long nature reserve is located northeast of Gia Vien district, Ninh Binh province (about 100km far away from Hanoi capital). In 1999, it became a nature reserve, listed as a wetland protected area and a systems of special-use forests in Vietnam. Van Long nature reserve is a region of high biodiversity, limestone ecosystem that is home to the largest population of Trachypithecus delacouri in Vietnam with over 100 individuals. Van Long wetland is a diverse ecosystem. In addition to the two main ecosystems, wetland and limestone forest, there are also ecosystems in the fields, lawns, swidden fields and village ecosystems. Not only is the nature reserve, Van Long wetland is also an attractive landscape. Van Long lagoon is known as “wave-free bay” because when you go on a boat on the lagoon, you will see the water surface as a giant mirror. 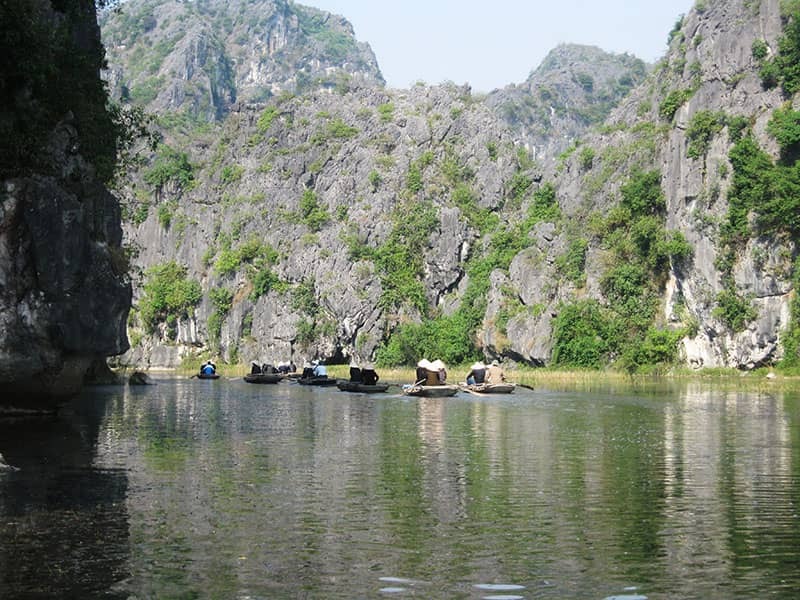 The landscape is like a mountain and water painting reflecting the limestone cliffs in clear water. The water here is so clear that you can look through moss on the bottom. 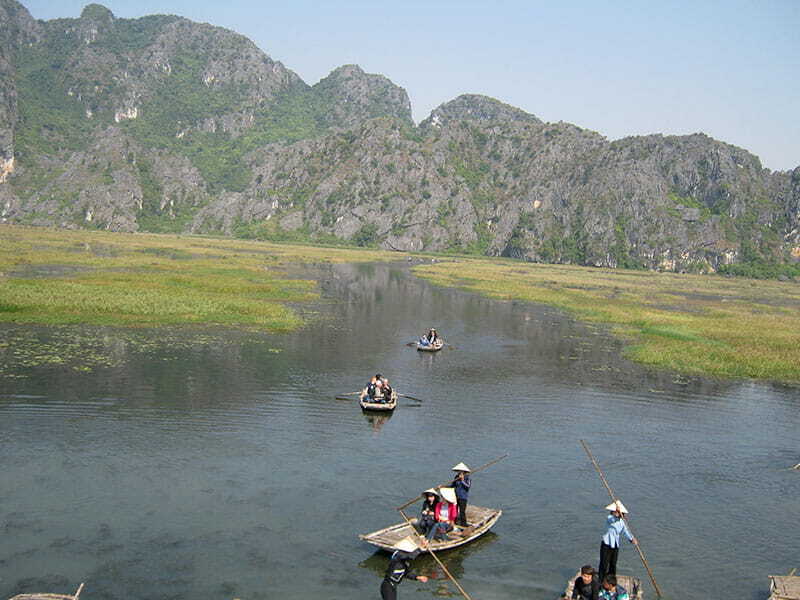 Easily travel to Van Long on day trip, you can rent a boat to visit the lagoon in two directions. The main direction is to go to the Bong Cave with many beautiful sights. In the other direction, if you are a creature lover and lucky enough you can meet rare languor jumping in jungle or drinking water beside the river. 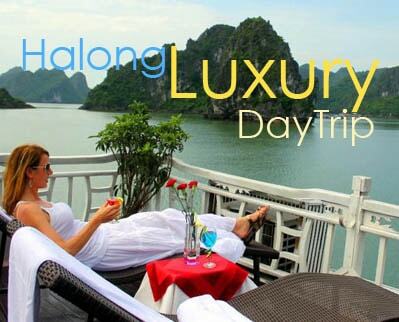 Each direction takes about 1 hour to 1 hour 30 minutes, adult ticket price about 75,000VND/person. Because of the small and light boat, it is usually a two-person boat. There is also a very interesting sightseeing which is a stork garden about 2km to the west from the boat wharf. Every year, when the winter comes, thousands of birds from the north would fly to Van Long to shelter. You would see dozens of pheasants, grey heron, teal and hundreds of white stork, night herons in Van Long natural reserve. If you are a bird-watcher, let’s take a trip to Van Long in winter and you will have opportunities to observe many kind of birds there. 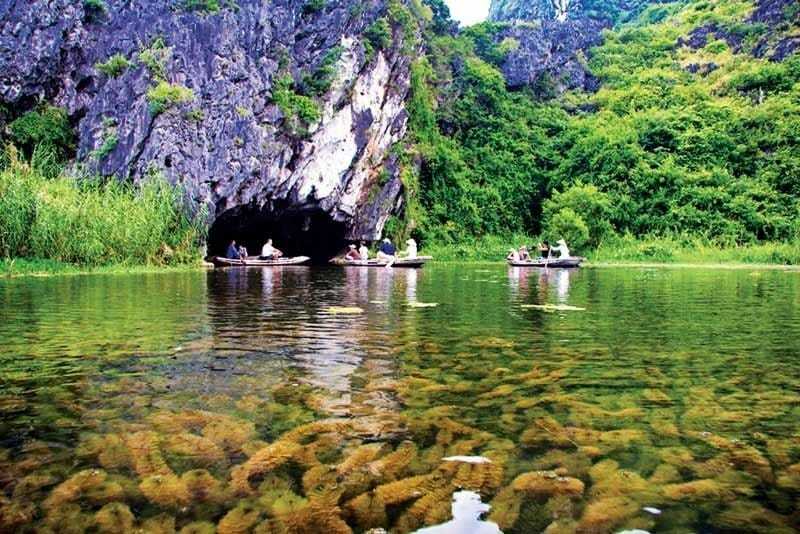 Van Long nature reserve attracts visitors by its natural beauty and tranquility compared to Tam Coc or Trang An, you are advised to keep the environment and ecosystem intact while on your tour. If you are a photo enthusiast, the boatman can help you get to all the points in Van Long area (which will be about 2 hours long), it’s recommended that you give a small tips to the boat rower, so they will be happy to show you more hidden places. Best time to go on boat is late afternoon when you can see thousand of white stork birds flying back home, the atmosphere is rustic and peaceful. You can also rent a bike and cycling along the area to enjoy the peaceful life of Van Long nature reserve and local people.